This January I managed to cut our grocery spending by over one third. After the mortgage our grocery spending is our second biggest outgoing and one that can fluctuate wildly if left unmonitored. I have been trying to cut our weekly food shop for several years but with limited success. I have become a lot more mindful about my grocery shopping over the last few years and have managed to get some control over it, at least by checking my spending on our bank statement at the end of each month. This has regulated my spending to some extent and meant my spending has become more consistent whereas in the past there were massive (shocking) variations each month. Like many people with an all consuming job and busy family life there were times when I lost track of my spending and I overspent on food and threw some of it away. A desire to limit such shameful waste and to eat well on a reduced income has become a growing desire (and necessity) over the last few years since I started my yen for minimalism and simple living. Having enough food in the cupboards and eating and a good quality diet but without excessive expense or waste fits in perfectly with this philosophy. Since the end of December with a change in lifestyle (giving up my permanent job), a smaller budget and more time on my hands I have been able to focus on reducing my grocery spending. It has taken up a lot of my time but already I have cut it by one third and think I could do even better if I stick to my new habits. I'm quite excited by my progress in this area (you can probably tell by the length of this post!). Getting our family weekly shop (2 adults and 1 or 2 teenagers) from well over £100 to well under the same figure is some achievement! Mostly by being very disciplined which has meant spending a lot of time planning meals and recording every little bit of spending. Here is a detailed list of other habits that have helped reduce our grocery spending this month. Weekly thorough stock-takes of cupboards, fridge and freezer (as opposed to occasional). It's so easy to forget how many items you have in stock (especially when items have been bought in bulk months before). I'm amazed how I can buy something one week and then completely forget that I haven't used it. Taking everything out of cupboards can result in some unexpected foodie treasures! Completely cleaning out the fridge each week. This also reveals food items that would otherwise get forgotten about. It doesn't take as long as you think. Weekly menu planning. This comes before writing the shopping list. After stock-taking I plan some of our meals from what's already stored. This is saving us a fortune. We have family favourites that appear regularly on our menu and we also try to cook something new once or twice a month - often on a Friday night. Our menu runs from Friday to Thursday and a simple menu plan is displayed on a chalkboard in the kitchen. Less food waste. If I buy an item such as a large pack of bacon or a savoy cabbage I plan different meals that use this ingredient and incorporate them into that week's menu plan. In the past I would have thrown away half used items. Pre preparing veg. I often prepare veg on a Sunday and use half that day and the other half is ready prepared for later in the week. Cooking from scratch is hard work so you have to think of ways to lighten the load. Online shopping. I spend about £40 a week on one online shop - usually a Saturday. Online shopping gives me more control over my shopping as I can see the price (and adjust it if necessary) before I actually pay. I book my slot at the beginning of the week giving me lots of time to edit the list during the week as we run out of things or my menu ideas change. Keeping my online orders to just over £40 means I qualify for the delivery saver option which means I pay upfront for delivery but don't have to pay the £6 plus peak charges I used to pay. Online shopping suits me at the moment although I know I could save more money if I went without this luxury. Keeping out of big supermarkets keeps me away from the temptations of homewares, clothes and magazines as well! A weekly shop at Aldi (or Lidl) to supplement my online shop. These shops are great for lots of things but especially fresh fruit and veg (Super 6), meat, cheese and cheap but good quality wine. Trying to keep weekly shopping spending consistent. I buy food for the week ahead but with a little bulk buying on the side if it makes economic sense. Recording all grocery spending in my main diary. I keep this diary in my handbag. Every grocery shop is recorded and I tot up each week's total in the same diary. Flexibility. Our menu plan isn't rigid. If there are left-overs or we go out, meals will be carried over into the following week. Knowing the price of my regular purchases. I'm becoming much more price savvy. This helps me to spot a genuine bargain. Avoiding going out to buy one missing ingredient. Instead I think can it be left out or is there an alternative/similar ingredient? I also celebrate no spend days and try and limit my number of food shops to two a week. Cooking extra portions. Friday night's curry will give us enough for a left-over meal at Saturday lunchtime. A big batch of chilli can be eaten with rice as a main meal one day and in wraps or with tortilla crisps another night. Left-over rice can be turned into egg fried rice for a second meal (I always cook too much rice). A Sunday roast cooked with extra veg will leave us with enough to feast on for Monday's tea. Finding new inspiration. Reading and re-reading cookery books for new ideas plus blog reading and tearing out recipes from free magazines from supermarkets. There are so many wonderful recipes out there but simply not enough time to try them all. However, I'm getting better at trying new recipes these days. Celebrating running out of things. It's good to run out of things - it means we're using what we've got in our cupboards and it can lead to some creative meal ideas. It's also good for teenagers to know there isn't a bottomless pit of snacks in the house. Recording each week's menu in a separate notebook. I started this at the beginning of January and it's already providing a useful reference and source for meal ideas when inspiration is lacking. It will be good to look at old week's menu plans as the year progresses. Saying yes to cheap ingredients. Using lentils for dhal, white potatoes to make home made wedges, roast potatoes and oven chips, pasta once or twice a week (no pasta dish needs to be the same) and porridge oats for breakfast several times a week are all yummy but cheap. Simple meals. When it's just the two of us we often indulge in simple meals. Soup and bread, scrambled eggs or beans on toast are sometimes better than many fancy meals out. Filling up with simple carbs. Bread, potatoes and rice are the cheapest way to fill up our growing teenage boys. Making our own version of takeaways. Yuk sung is no longer a takeaway treat. Instead we make our own and have takeaways less often. We are also developing a range of favourite curry dishes. Not taking too much notice of best before dates on food. We use our common sense to decide if it will be OK to eat an item past its best before date. However, we are careful with use by dates as these are important for food safety. Buying less ready meals. Friday night is often curry night in our house and once upon a time this meal would have consisted of various microwavable ready meals. Now all the dishes are home cooked – some are fresh others are frozen and then reheated. It takes a while to practise and perfect a recipe but once mastered the rewards are great. Looking out for offers. 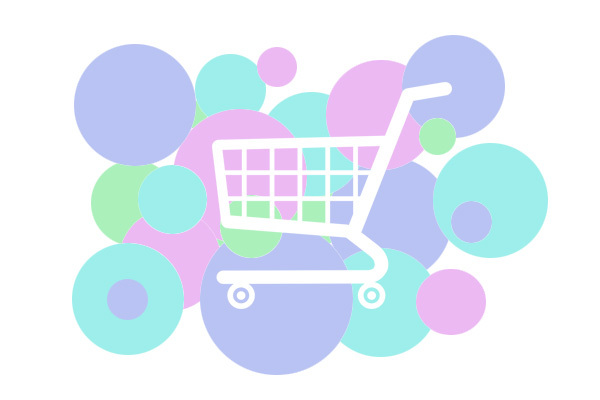 As I do some of my grocery shopping online I find there are fabulous offers each week which are heavily promoted (especially when new or improved products are launched). I still buy some convenience food such as pizzas if they are on offer but balance this with plenty of cooking from scratch. Not being loyal to brands. I have favourite brands but can be tempted by another if there is a decent offer and I'm no snob when it comes to using own brands. Often the quality of own brand products is the same if you look beyond the fancy packaging and seductive advertising. Running down our food stocks from time to time. This can mean everyone eating something different at the occasional mealtime. This can be quite fun! Buying less wine. We have cut down this month but not completely! This is an extensive list I know, but it's a useful record of my current food shopping habits. There's more I can do to further reduce our spending (shopping for yellow sticker reductions, using Approved Foods more, more vegetarian cooking) and I will post occasionally on this topic with my progress or setbacks. How do you control your grocery shopping? Have you any tips? I'd love to hear. This is what I'm working on this year...it's hard. One of the biggest money savers for me is to shop less. For example, I spend 25-50% less if I shop every two weeks instead of every week. But this doesn't always work like I want it to. I've recently started cleaning out the fridge and pantry more regularly and it's amazing how much more aware I am of what we actually have. Great post Claire. Its so easy to go crazy in the supermarket and end up spending a fortune on things you don't really need (or want!). You have some top tips here. We've been planning a fortnightly menu ever since the children started eating 'proper' food and buying to only to that menu plus after school snacks for the boys (and the occasional bar of choc for me!?) Then I do one or two top ups for milk/fresh bread/veg during that time. Fornightly - so I only have to endure a big supermarket shop once every 2 weeks! It does make a difference. Very interesting...though as pensioners we are at the other end, no big family meals to cater for. However I still plan carefully. If I buy a large pack of something, ie fish on special offer, I take out portions and freeze them immediately. That goes for bread also, a half loaf freezes easily. Great post. However I found menu planning counterproductive. I plan to cook a couple of meals and then cook with whatever I've got left over and store cupboard stuff for the rest of the week. I use quite a few of the same tactics with regard to food shopping as you do. I am currently trying to use up a lot of food in my cupboards that just hasn't been eaten and am looking forward to freeing up a bit of extra cupboard space. Like you I am constantly trying to hone my grocery shopping but occasionally I do have a bit of a splurge as a treat and buy a few things that I wouldn't normally. It is reassuring that I am not the only person trying to take control of this aspect of our spending. This is such a good idea i have been thinking about this for ages, I'm going to try and take on board some of your helpful ideas. I loved this thought-provoking post. I actually gasped when I saw the total in the supermarket this morning. Although I didn't have anything luxurious or excessive in my trolley. I do like to get as much as I can from Aldi, which really helps. I love that they don't have dozens of BOGOF and similar offers that make you buy more than you really want. And they are SO much cheaper. For example, 95p for six medium free-range eggs. Tesco charge £1.38 for medium, and £1.68 for large, which are actually almost the same size as the Aldi medium eggs. I found your post very inspirational, I'll being trying harder to cut my grocery bill as well now. This has been one of my new year's resolutions as well, although I'm not as organized as you. I do most of my grocery shopping in Aldi or Lidl, just visiting other supermarkets for some branded favourites. As cooking duties are shared with my husband, menu planning can be difficult, especially as our working hours can vary. But I'm looking at cheaper options - liver is back on the menu and the teenager surprisingly loves it. Also doing lots of stews and casseroles when I've got time, and trying to plan around the Super Six veggies. Trying to cut back on non-essential foods like biscuits, fancy yoghurts, snacks, for health as well as economics. And planning a wine-free February (apart from the 14th). You are very thorough . I always mean to record what I have spent and then half way through the week I realise I have forgotten to record something. This is very helpful. Cutting our grocery costs is something I have been working on and I love the feeling of scrounging around the cupboards to come up with something filling, healthy and delicious for dinner. The cost of groceries here in NZ is high. Our groceries were definitely cheaper when we lived in London. I have my own vege garden now and fruit trees which helps and I incorporate a couple of vegetarian dishes into our weekly meal plan which really helps with keeping costs down. Going to book mark this post, thanks for sharing. Elaina xo P.S. I loved Lidl! All our kids have now left home. I still buy large packs of meat but divide them up before freezing. I often freeze veg on day of purchase too - so nothing lies wilting in the veg basket! I cook like that old programme "Ready Steady Cook" making more than one thing from an ingredient - say I am cooking potatoes and leeks with meat then I pinch some of the potato and leek and make a soup for the next day. Even though I am cooking for two I dish up alongside the plates a foil tray of the meal to freeze - so three portions stretched from two- say this is chilli - then I make a chilli pizza for the two of us out of a frozen ciabatta. I have frozen, tinned and dried fruit in so when we run out of fresh we go into these stores. That way I avoid the shops and go just once a week. Your list is brilliant and brought me back on track - the last week I felt like I had given up on being frugal - money was leaking from everywhere - lol. Thanks for helping me back. Good luck with this new challenge - hopefully it will get easier with time and experience. Really great post! It seems you really have gotten knee deep into cutting your grocery bill. Being able to use everything in the kitchen and not running out for this or that is really a challenge. I'm going to share these with the bf and we will put this into action! This is where my Frugal February challenge is centered this year - we're already pretty good with grocery spends, feeding 2 adults for under £150 most months, but we do seem to have accrued rather a lot of goodies stashed away in the freezer, fridge, larder & storecupboard, and frankly, they're not going to use themselves up, are they! My challenge for this month is to spend as little as possible in hard cash on our months grocery shopping - but I'll be keeping track of overall spends as well - week one came in at £13 odd in total, of which 24p was cash! Meal planing is key, but more than that, the thing you mentioned of making sure that you plan to use every scrap of the things you've bought in. Good luck with it! Thank you for the exhaustive list (though not exhausting). They are great tips and I need to remember them. Even though I always bring a grocery list I still am so very tempted to buy other goodies. Menu planning is my next big goal, it makes so much sense. Claire these wonderful tips have come at a very appropriate time for me. We put our house on the market again a couple of weeks ago and in the space of 10 days we had sold and bought an apartment near the city! Now I'm doing a "use up" of all the food products in the fridge, freezer and pantry before we move - but I intend to follow your example when we move and buy only what we need for the week ahead! This is a brilliantly inspiring post. Wow, I'd love to know how you manage that - what a challenge! I loved reading this very thorough list of things to do to reduce your grocery costs, thanks! I'm so glad bloggers are doing this, as it does remind the rest of us to keep on our toes. All of these things are important and they do work! Of course, I think I'm quite good at this ;) - at least, I am when I am in charge! My husband is a big chap and a gourmet and when he comes along, it all goes haywire, and we overspend by 50-100% on the things he fancies, and he'll buy for 3-4 meals over a weekend so I have to keep reminding him we only need 2….then he's disappointed and I am left with some weird and wonderful ingredients to find a use for!! I am often shocked when my well-planned grocery shopping on Friday has almost disappeared by Monday - leaving me only with things he or our daughter are too lazy to deal with, though I can still do stock cupboard stuff (onion pie…?!). So I will often shop on a Monday to counteract this, and hubbie can shop on Saturday for his special stuff. He and my daughter like some things that I wouldn't buy for myself, like variety yoghurts (I only like plain), so there has to be some give for that. But it's not easy on the budget, we're lucky not to have to pennypinch, but my Yorkshire blood comes out LOL - I dislike spending money on unnecessary groceries! Online shopping doesn't work for me because we have a minimum charge and I don't buy enough; I don't like having too much lying around and in any case, don't have the space. I'm not keen on Aldi as I don't buy processed anything if I can help it and their fruit, veg, meat and cheese are very limited and aimed at German and convenience diets (as opposed to Swiss!) compared to our own-brand supermarket where the prices are just as good and the quality and origin more convincing. I know it's a bit different in the UK Aldi. I didn't much enjoy the supermarkets in the UK when I had to shop there regularly in 2012, but I quite enjoy taking the time to shop properly here, as it's quite different, somehow. I have learnt to just browse all the home and clothing goods and rarely buy anything in those departments any more unless there's really something I need (this week I got a half-price pottery ginger grater, as grating it on my metal grater wasn't working for me, though I don't like collecting gadgets!). It's a case of reminding myself that I already have xyz after all these years of collecting and culling and it helps me be more creative when I rearrange things each month or season! Hi. That's a great list. There is nil food waster here, always has been, I eat everything I buy. I don't do meal plans, I would find it boring to know what I was going to eat every day, I like surprises. Also don't follow recipes, I make things up as I go along on a day to day basis, using whatever I bought in cheap. I base my meals on yellow stickers food. We're a family of 6 (2 adults, 2 teenagers (so in reality another 2 adults) and 2 primary school boys. I budget £100/ week for all of our food and toiletries and cleaning products (and a weekly Sunday newspaper) - and the food/ bedding etc for the 2 guinea pigs. I can *just* about manage this budget, although it's not easy. I bake - a lot - children eat a lot of goodies! I shop twice a week usually - the amount of bread and milk we get through being the main reason. I make good use of offers at different supermarkets, without wasting too much time and fuel driving here, there and everywhere! Great work although it's hard work!